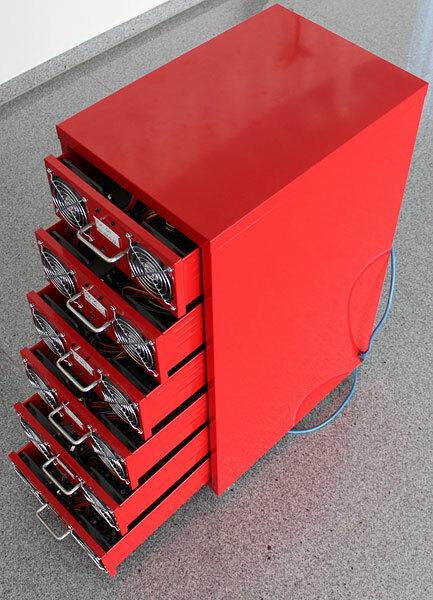 81.6 GHz, 24 Cores, 96GB RAM in an Ikea Helmer cabinet! 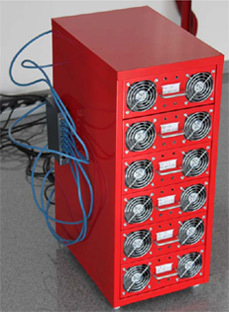 Years ago, First Image has been inspired by the original Helmer to build our own Helmer-Renderfarm. 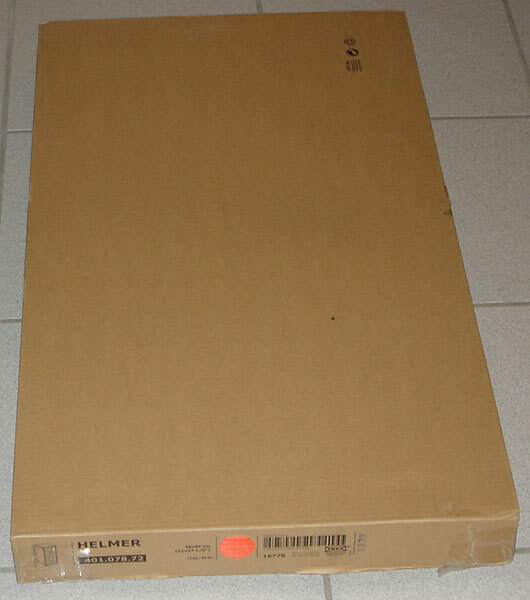 So we have started to buy the Ikea Helmer cabinet first to make all the planning for the Renderfarm. 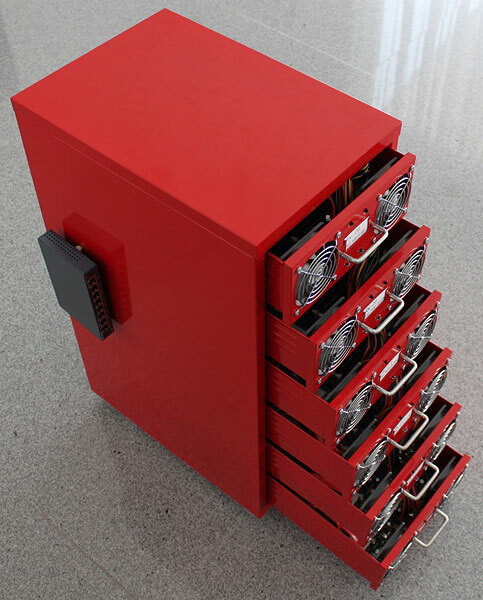 After a bit measuring here and there, it was clear that it can be a really compact solution if you need renderpower at your desktop. So we give it a try. 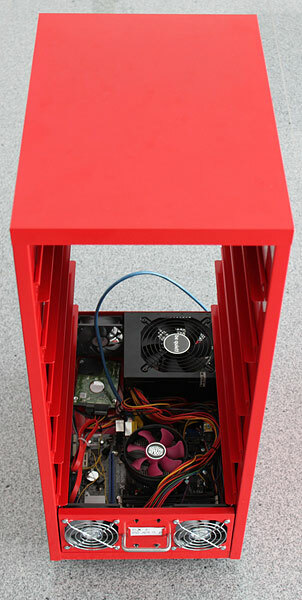 One of the big differences to the original Helmer is that we have optimized airflow for 24/7 desktop computing, We have also kept the drawers fully intact and the Ikea Helmer cabinet received no additional parts. 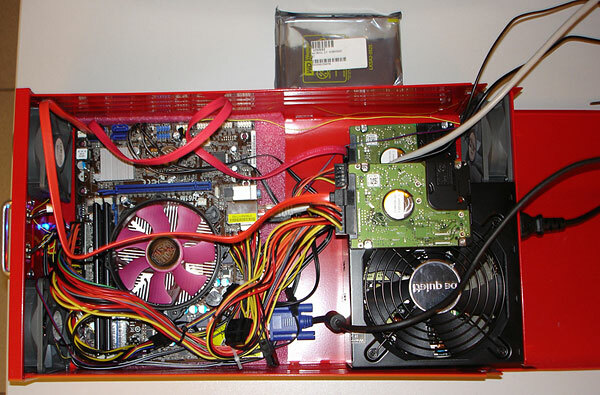 It is just out of the box plus we have no Linux OS we use Windows 7, 64bit. 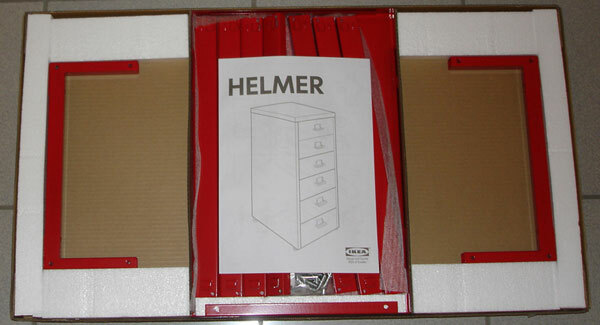 This is the Ikea Helmer cabinet. 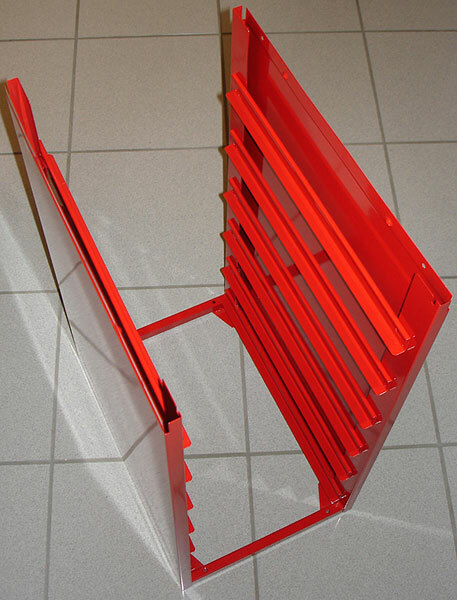 We have chosen the red one but there is also silver and white available. 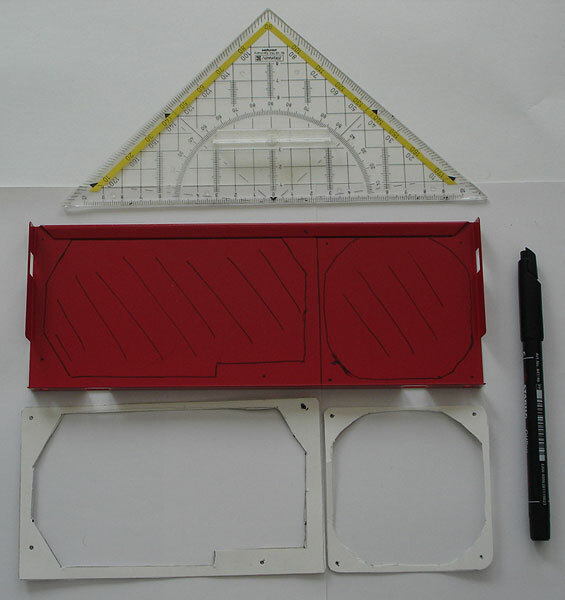 As you can see, the space is really constricted with 25cm in width. 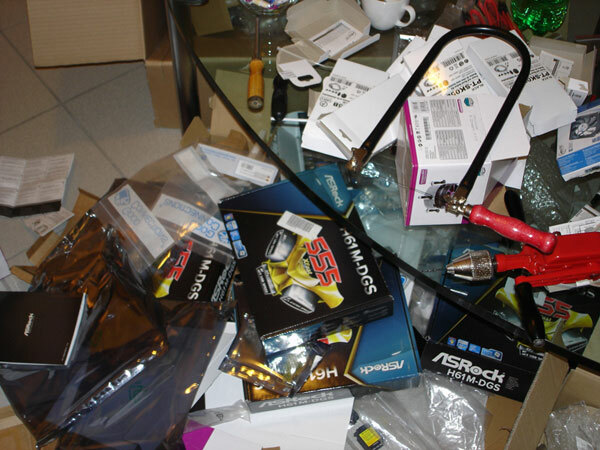 In this space we need to place the motherboard plus all the additional parts. 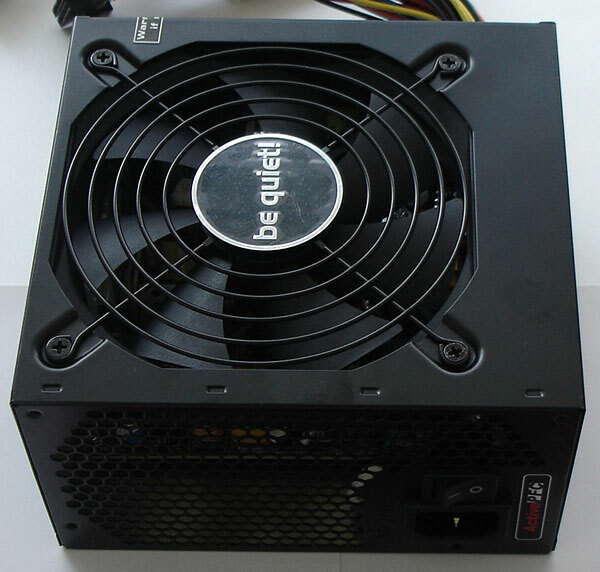 We have choosen the ASRock H61M-DGS, LGA 1155, mATX which fits perfect in the drawer (22,6 x 17,3 cm). 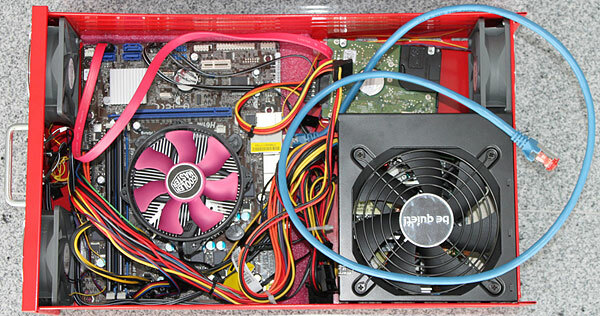 It comes with Intel HD Grafik which is enough for our needs. 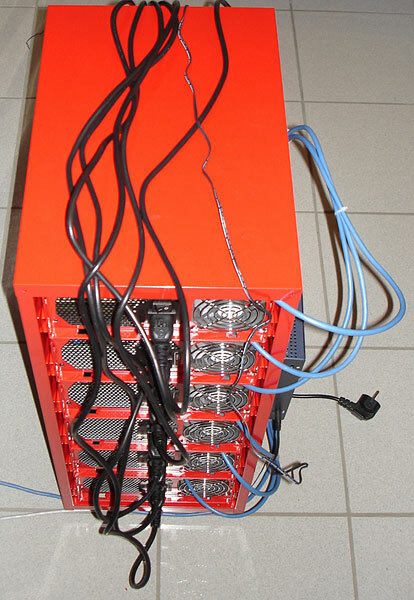 Keep in mind, if you use the HELMER-AIR cluster only for CPU rendering you dont need a grafik board at all. Gigabit LAN is also on board. 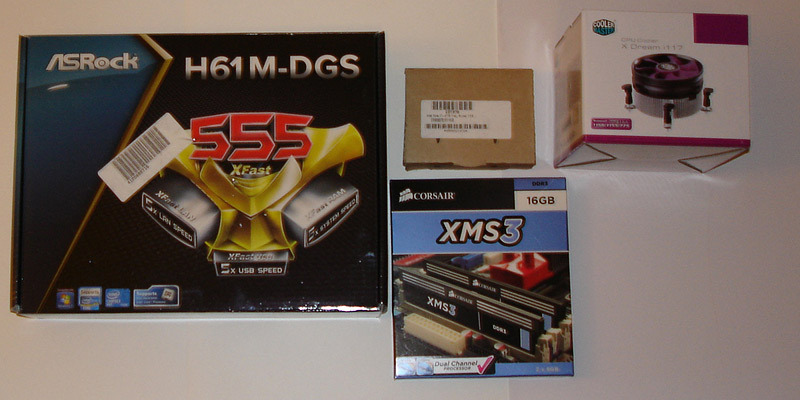 One restriction is that this Motherboard can only carry 16GB RAM but this is enough RAM for our Renderjobs. 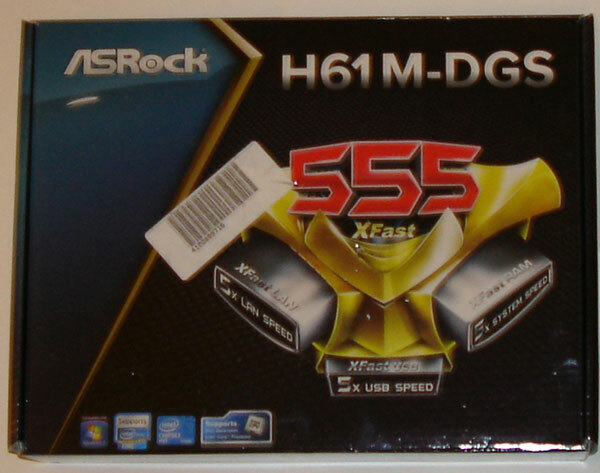 This is the ASRock H61M-DGS Motherboard. 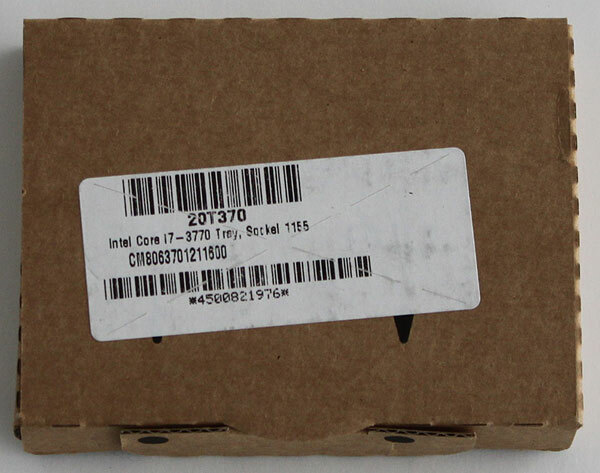 As cpu we have chosen the Intel Core i7-3770 Tray, LGA1155 we don´t have bought the 3770 K because we don`t use overclocking. 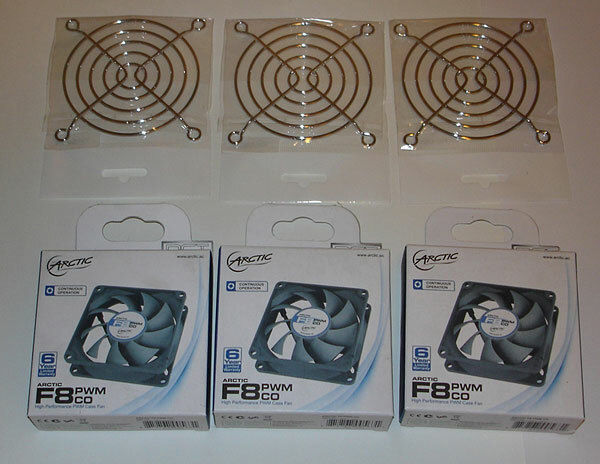 CPU- cooler is not the boxed one because our space is extremly limited and there we need a better performance on the cpu cooler. 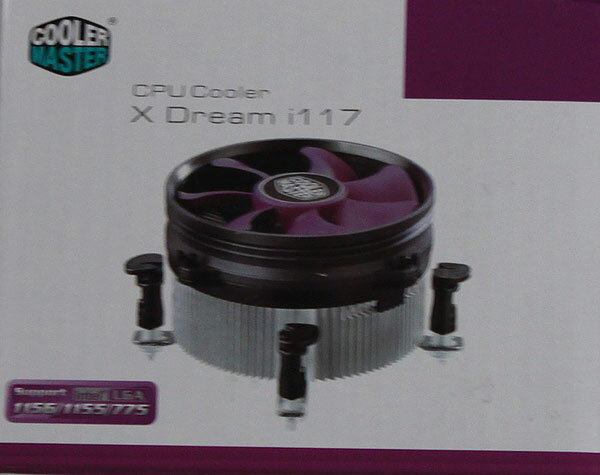 We have chosen the Cooler Master XDream i117. 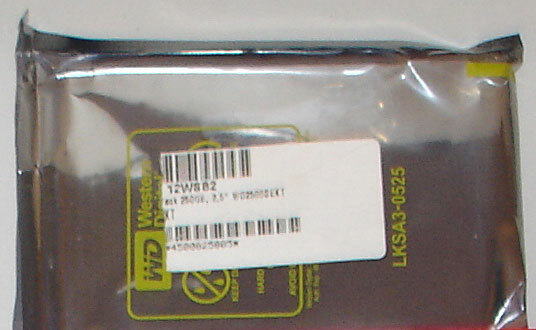 As harddisk we use some 2,5“ hdd from Western Digital, Scorpio Black, 250GB. 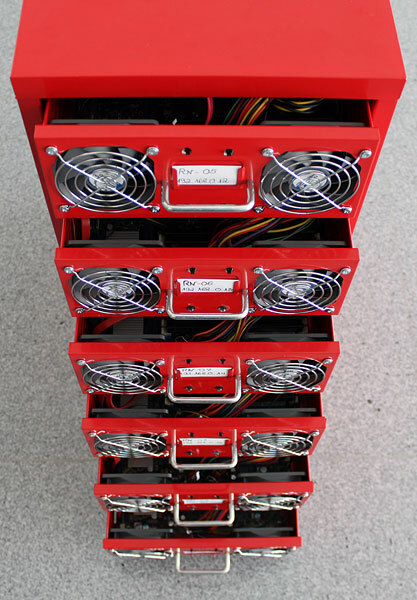 To keep the temperature constantly low we decided to mount 3 case fans. 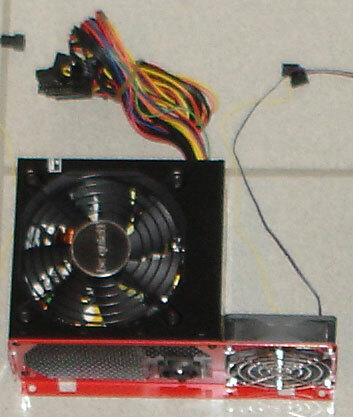 2 fans mounted in the front panel. They blow fresh air in the drawer. 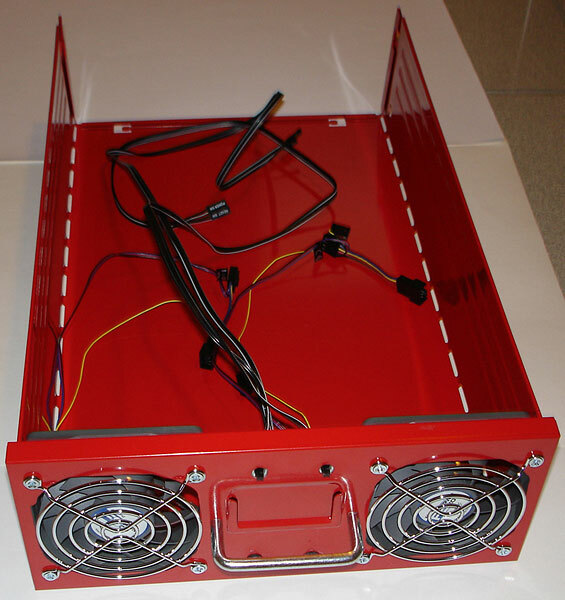 1 fan mounted on the backside which blows the warm air out of the case. We have chosen ARCTIC F8 PWM CO - 80mm with power management. 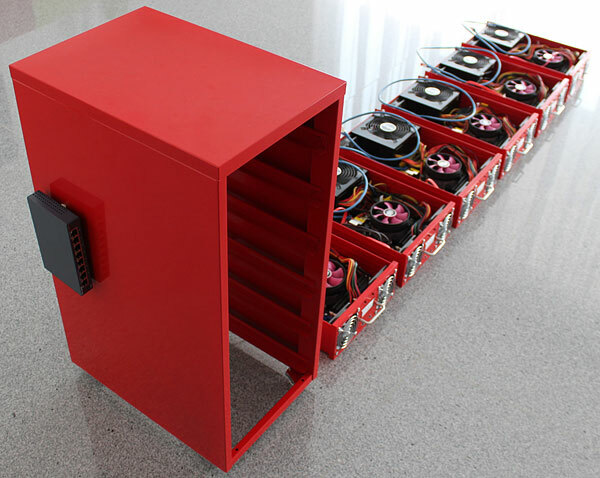 So in the end each drawer carries 5 fans. 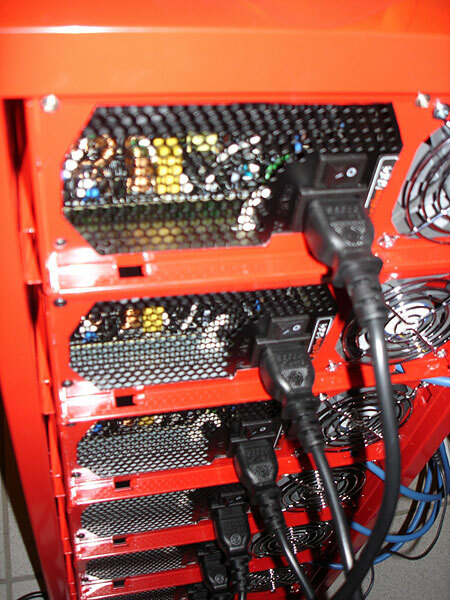 2 in the front panel, 1 in the back panel, 1 on the cpu and 1 in the power supply unit. All in all we have 30 fans in HELMER-AIR! We only use Cat. 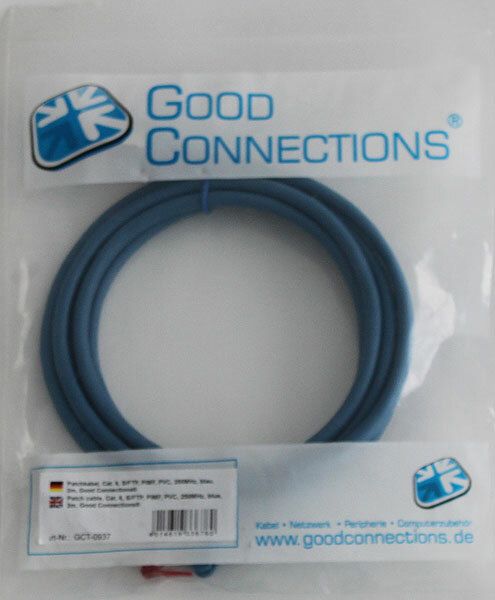 6, S/FTP, PiMF, PVC, 250MHz, cables for the network. 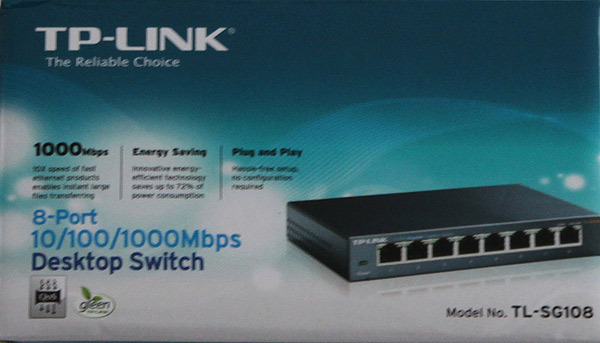 As network switch we have chosen TP-Link TL-SG108 Gigabit LAN switch. 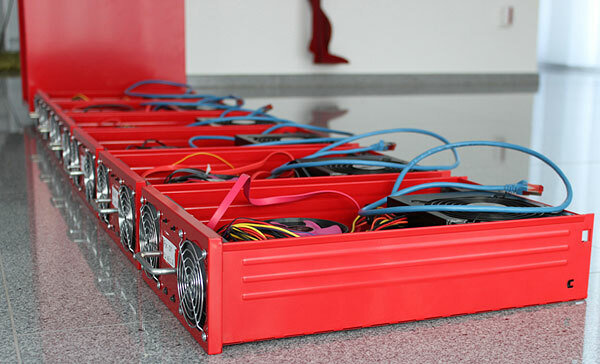 Now our list of hardware is complete. 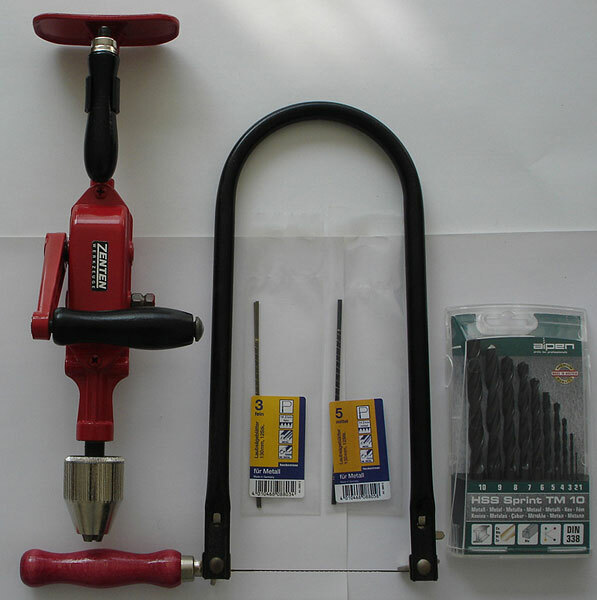 We can order it to assemble one master drawer. 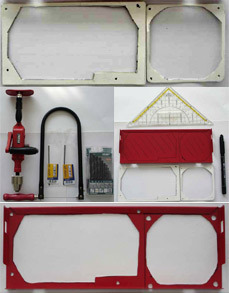 We have started to make some stenciles for cutting and drilling the HELMER-AIR case. Then we came up with the idea that HELMER-AIR needs one power button to start up the Renderfarm. 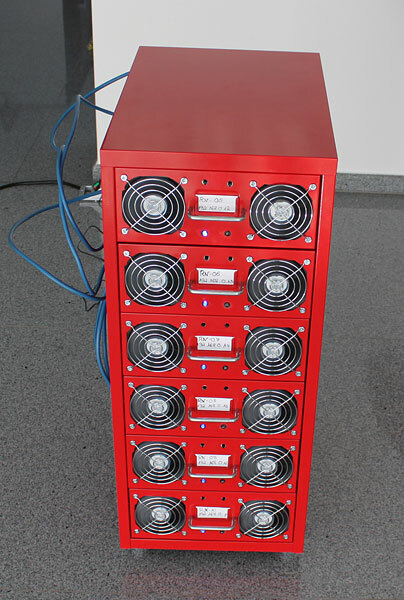 We also wanted to have a reset switch and power led + hdd activity LED. 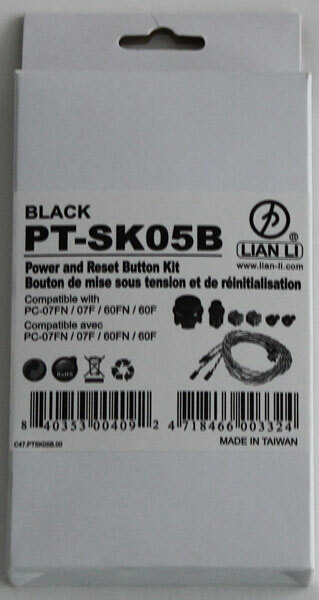 So we have ordered the lian li PT-SK05B kit. 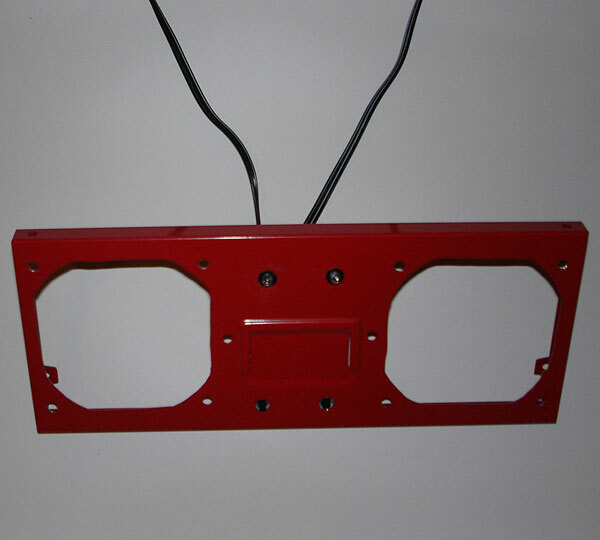 With the dvd we are able to install Windows 7 on the HELMER-AIR master. 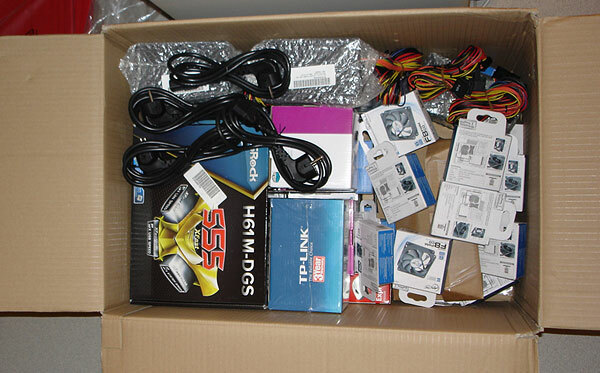 We installed all the drivers from CD that came with the motherboard. Then we have installed our rendersoftware, Autodesk 3ds max. After that we installed our plugins, VRay 2 and VRayScatter. And then we have installed Acronis TrueImage WD Edition which is freeware. 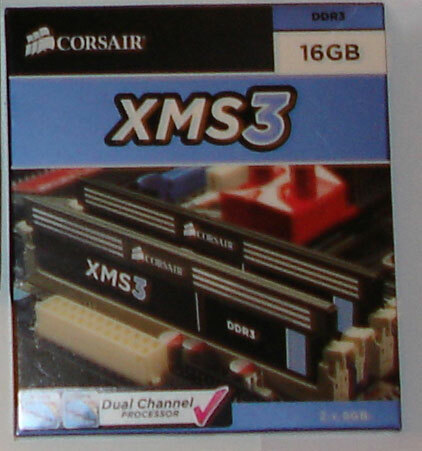 But you can only use it with Western Digital HDD. 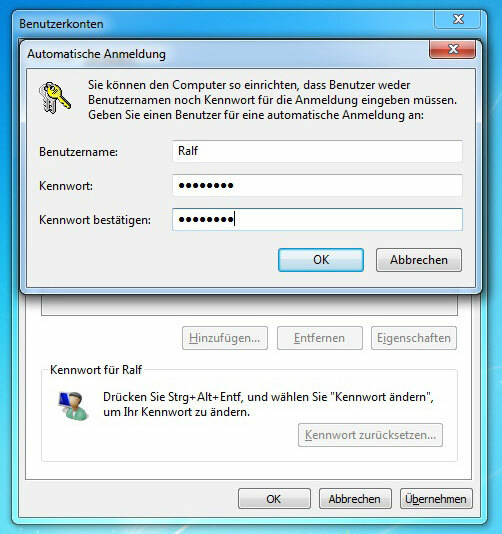 Then we setup the Auto login option in Windows 7 which we really recommend. With this you can have a user account with password but the machine logs on automatically after startup. This is needed because we want to have Remote access on every HELMER-AIR client. And for Remote access you need to have password protected user accounts. So please type cmd in the command panel on your client. 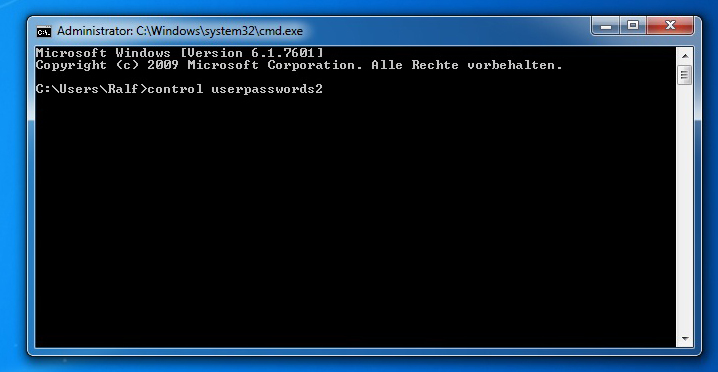 Then in DOS box you type in control userpasswords2 then hit return. After that you can choose the user account and disable the option above. Then click OK and type in your username and password. Click OK and your machine logs in automatically after startup. 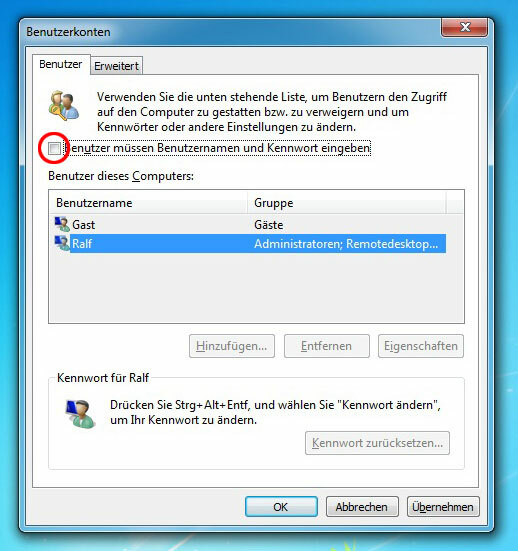 Now you need to set up Remotedesktop to have access from your workstation to the client. After all the setup we have integrated the master into our Windows network. 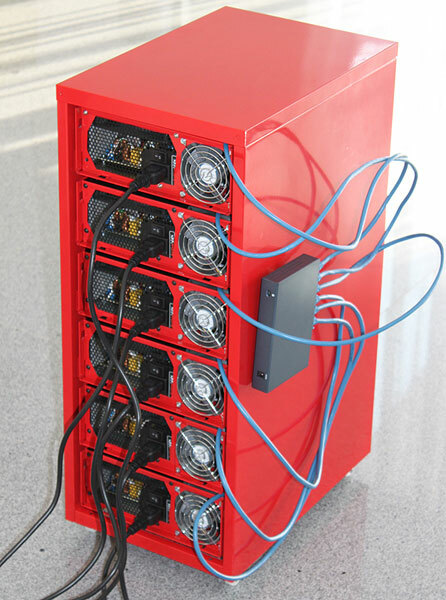 We have given it a unique name and a unique (static) IP address. That`s it. HELMER-AIR is now running fine. 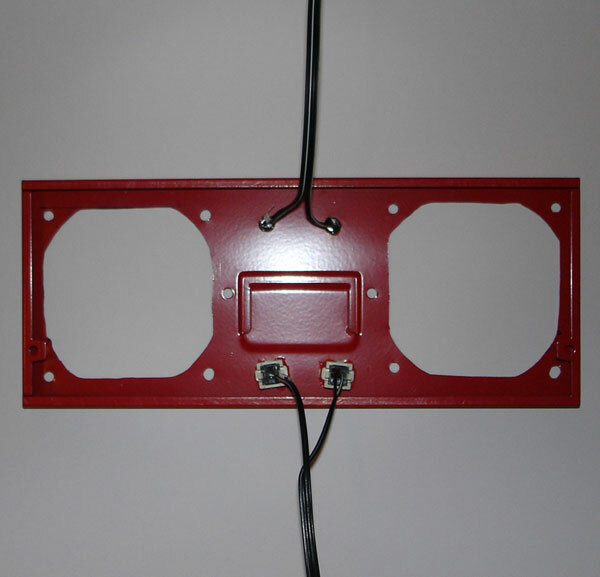 After the Master - installation was done we have ordered the hardware to build the other 5 HELMER-AIR clients. 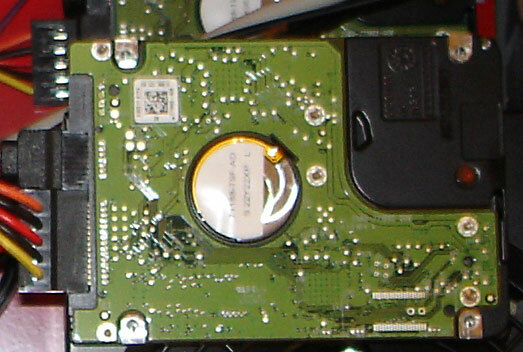 The first step after receiving the hardware was cloning the hdd from the master to the other clients. 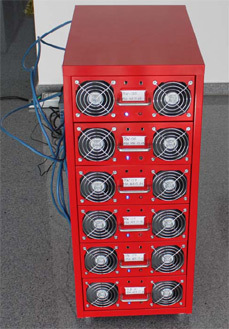 After cloning you need to rename the machines and give each a unique IP-address. 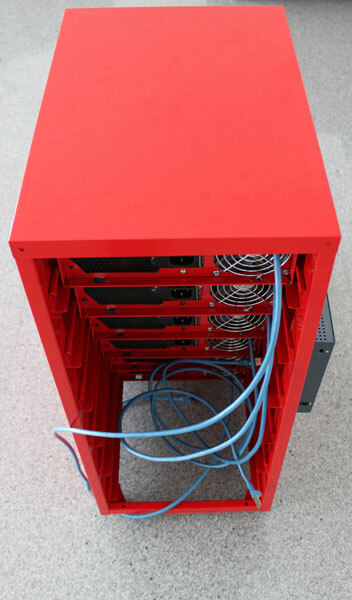 Apply a new network ID and do the auto login procedure again for each cloned HDD. Remotedesktop works just fine, you didn’t need to adjust something on the clients. 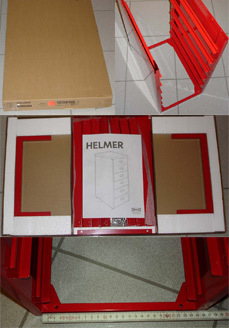 You can now push the 6 drawers into the Ikea Helmer cabinet. 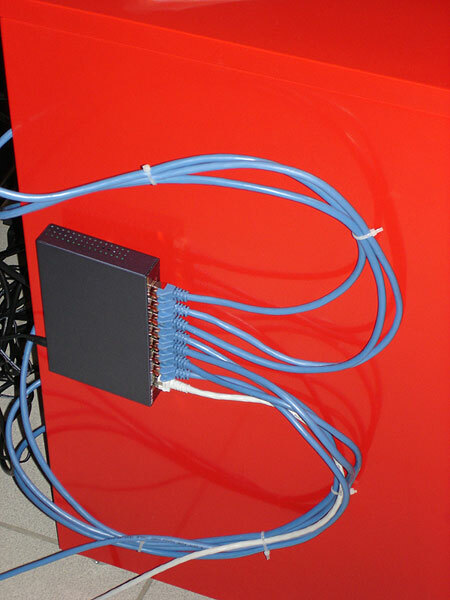 We have mounted the network switch on the side of the HELMER-AIR and connected each client to it. 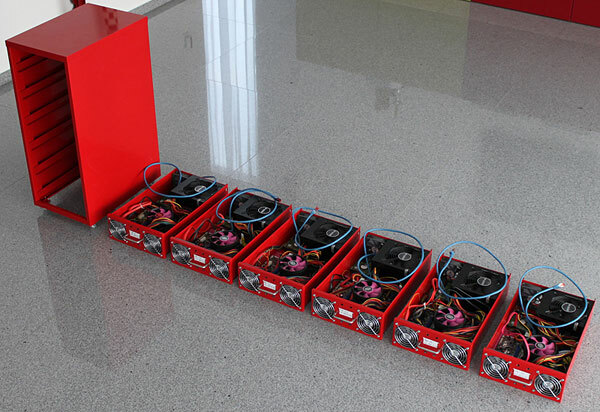 Then we have connected the power supply cords and started our first testrun with the complete HELMER-AIR Renderfarm. If you want to see HELMER-AIR in action, please have a look on this short video breakdown, listen how silent it operates. It will also fit under your desktop!